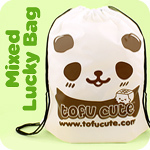 Tofu Cute is run by a dedicated team of people based in Hampshire, in the south of the UK. Team Tofu started in June 2010 with a few passionate individuals and due to our wonderful customers have been able to grow our team into a large family. As well as amazing people who visit our shops in the UK, we have customers based throughout the world! To find out more about the people who work at Tofu Cute, click on the names on the right. You can meet some of Team Tofu and sometimes even our mascot Panda-Chan on stalls at various events around the UK. To stay in touch please check us out on Facebook, Instagram, Twitter or find out the latest gossip on our blog! 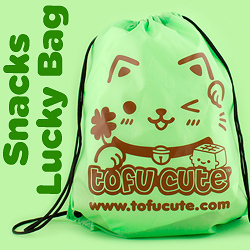 Tofu Cute is an online store specialising in kawaii gifts, accessories and stationery, and tasty Japanese snacks. We’re based in the UK, but we offer delivery all around the world. We’re constantly on the lookout for delightful new items to offer to our customers! Much of our stock can’t be bought elsewhere in the UK or Europe as we’ve sourced it directly from East Asian countries such as Japan, Korea, Taiwan & Hong Kong. Often we’ll stock limited quantities of an item, so if you see something you really like, it’s best to get in quickly! The word “kawaii” is mentioned a lot by Tofu Cute. It’s a Japanese word meaning “cute”, but it represents a lot more than the English equivalent. In Japan, cuteness has been a big part of everyday life for years. The arrival of Hello Kitty in 1974 and many cute characters since then has brought “cuteness” into the mainstream. Even businesses and the government advertise with kawaii images! 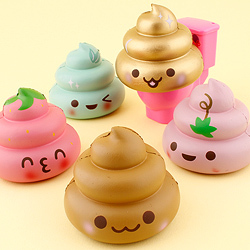 Kawaii represents a sweet, funny, light-hearted approach to life. Kawaii culture has spread around Asian countries, but is still rare in the West. Tofu Cute aims to share the philosophy - stay young at heart and allow fun items to inject positive energy into your everyday life! Yes, most definitely! We accept secure card payments via PayPal and Worldpay. Click here for more info. We keep all your personal details safe and secure, and never pass them on to third parties. We believe in a friendly, personal and efficient approach to customer service - if you contact us you’ll be straight in touch with one of the team, with no automated responses! If you're still not sure, you can find reviews for us online by third parties such as Trustpilot! The “cute” part of the name was obvious, but we also wanted to choose a food that would link all the countries which have inspired our shop - what better choice than tofu! It’s nutritious, meat-free, East-Asian, and allowed us to design a kawaii logo based around our name. 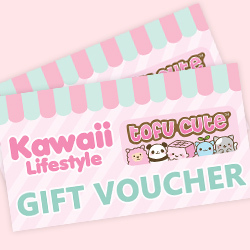 There are many kawaii characters dotted around the website - these graphics are designed by Tofu Cute. Food with faces is one of our favourite themes. Some customers will also be familiar with our kawaii shopping cart, which grows excited as you add more items into it! Check out the vegetarian products and you may be lucky enough to spot our little seedling coming alive! Team Mushroom or Bamboo: Mushroom! Taking photos for social media, writing a new blog, or coming up with exciting new promotions & competitions! Team Mushroom or Bamboo: Team Potato! Around in the shop and helping out in the warehouse, most importantly running the Flan Club! Team Mushroom or Bamboo: Rocket! Surrender now or prepare to fight! Filming and editing for Tofu Cute TV, serving customers, or picking your orders! Streaming on Twitch, making music with my band, training to become a Pokémon Master! Team Mushroom or Bamboo: Bamboo! 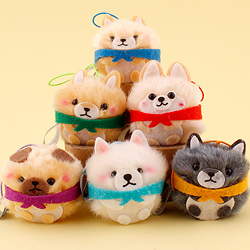 Picking, checking or boxing orders, lifting heavy things & selling squishies and stationery at conventions. Packing orders, making lucky bags or climbing. Making models, painting and swimming. Team Mushroom or Bamboo: Captain of MUSHROOM! Organising events, checking orders, helping customers, planning social media! I have many metaphorical hats. Cleaning my otaku house, cooking cute chara-gohan, singing and watching spooky films with my plushies. Team Mushroom or Bamboo: Queen of Bamboos! President of the Flanclub and warehouse manager, I also send out post, order yummy snacks, email customers, drive the tofu bus and attend most events. Playing pokemon go >< at home i like baking kawaii cakes or lounging in my cozy kingdom cuddling the cat watching anime or playing the switch. Team Mushroom or Bamboo: Team Bamboo of course! No. 1 Kawaii Character: Panda-chan! Takenoko no sato, whatever Ricky has. Doing very important panda jobs and modelling for Tofu Cute Artwork! No. 1 Kawaii Character: Shirokuma from Sumikko Gurashi! At Tofu Cute, I am usually:Assisting with photography, the blog, and boosting morale. No. 1 Kawaii Character: Marumofubiyori aka 'Moppu' (Who i'm dressed as) but the Sumikko Gurashi Snail is a very close second! Watching streamers on Twitch.tv, creating/drawing my own characters in Photoshop, playing PC and Switch games! In the photo studio taking photos of new exciting products or sat at my desk editing cute products to put online! Playing board games with friends - when I'm not playing board games I am at home playing online games or watching anime and shopping! Glued to my laptop designing products, laying out our pop-up shops, and ordering new snacks and plushies from Japan!